Many credit William Clark with describing and naming the Corps of Discovery’s journey down the Columbia River through the Cascades. The grit and determination of the Corps astonished the native peoples living along the river bank who witnessed their wild ride. Amazingly, the Corps moved rapidly and safely through the steep canyon walls from Celilo Falls to Hood River. Though exhausted, they knew they were now within days of reaching the Pacific Ocean. On November 1, 1805, they discovered the tide water as it lapped at their canoes. About Clark naming the Cascade Mountains: he described their wild ride as the “Great Rapid or Shute.” What he was describing in his journal as “cascades” were the lofty waterfalls streaming down the walls of the Canyon…a sight that today’s adventurers can also experience. Nothing quite matches the majesty of Multnomah Falls…a sight to behold that will last a lifetime of memories. Mt. Hood is another sight that astonished both Clark and today’s trail travelers. Clark first saw Mt. Hood looming through a fog 47 miles on October 18, 1805. This iconic snow-capped peak was first named by British explorers in 1792. In 1845, when Sam Barlow’s wagon train arrived at The Dalles, he found the area overrun by stalled emigrant parties. They were waiting to board rafts and bateaus that would take them down the raging waters of the Columbia River. Like all adventurers who blaze new trails, Barlow may have said, “There’s got to be a better way to get around this mountain.” Barlow headed his wagons south to the Tygh Valley. Barlow’s son climbed the south face of Mount Hood and spotted a way to the western foothills. Everyone got out their axes and saws and began hacking and cutting their way west. Once the snows came they stashed their wagons and gear and led their pack trains across the slopes of Mount Hood into the Willamette Valley. By springtime Barlow had received a charter and $4,000 from one investor to build the toll road which opened later that year. Soon close to a quarter of all emigrants that arrived at Oregon City came by way of the new Barlow Road. By the 1850’s, riverboats were safely hauling emigrants and their wagons and livestock through the Cascades, though the cost was often more than the nearly destitute pioneers could afford. In 1978, the Oregon Trail, including the historic Barlow Road, was recognized as a National Park Service National Historic Trail. West Columbia Gorge is just east of Portland and comprised of the cities of Fairview, Wood Village and Troutdale. The communities serve as a basecamp for countless adventures and the gateway to the Mt. Hood Scenic Byway and the Historic Columbia River Highway Scenic Byway. 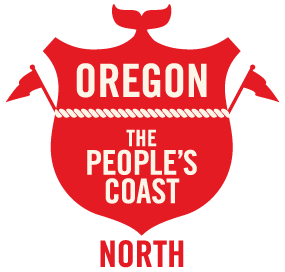 Travel east from Portland on I-84 and you’ll begin to experience the Columbia River Gorge at the scenic overlook at the Portland Women’s Forum on Historic Highway 30. The route along I-84 features many scenic day-use parks including the Historic Columbia River Highway State Trail, Lewis and Clark State Recreation Site, and Rooster Rock State Park. Further on Historic Highway 30 is historic Vista House at Crown Point which was built as a memorial to the pioneers and provides an inspiring view of the Columbia Gorge and the mountains of the Cascade Range. 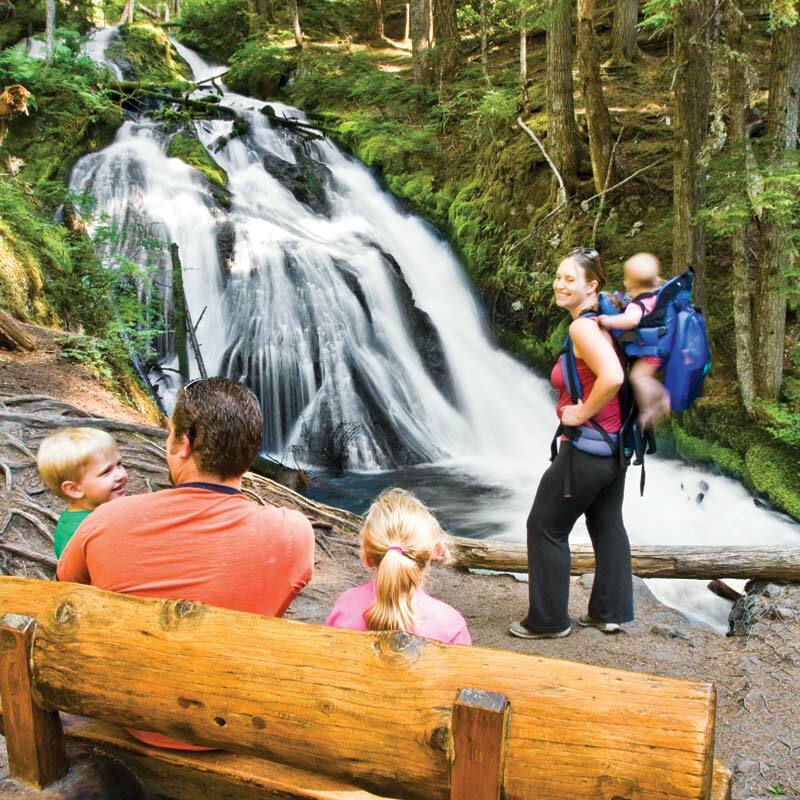 Continuing on visitors are surrounded by mossy trees and a series of remarkable waterfalls including the Latourell, Bridal Veil, Multnomah, Oneonta and Horsetail. The spectacular Multnomah Falls free falls 620 feet from the mountains above the Columbia River Gorge National Scenic Area. The visitor center at Bonneville Lock and Dam offers visitors the chance to look through underwater windows at Chinook and Coho Salmon jumping their way up fish ladders each fall. Stop at Cascade Locks for a taste of fresh fish straight from the Columbia River. 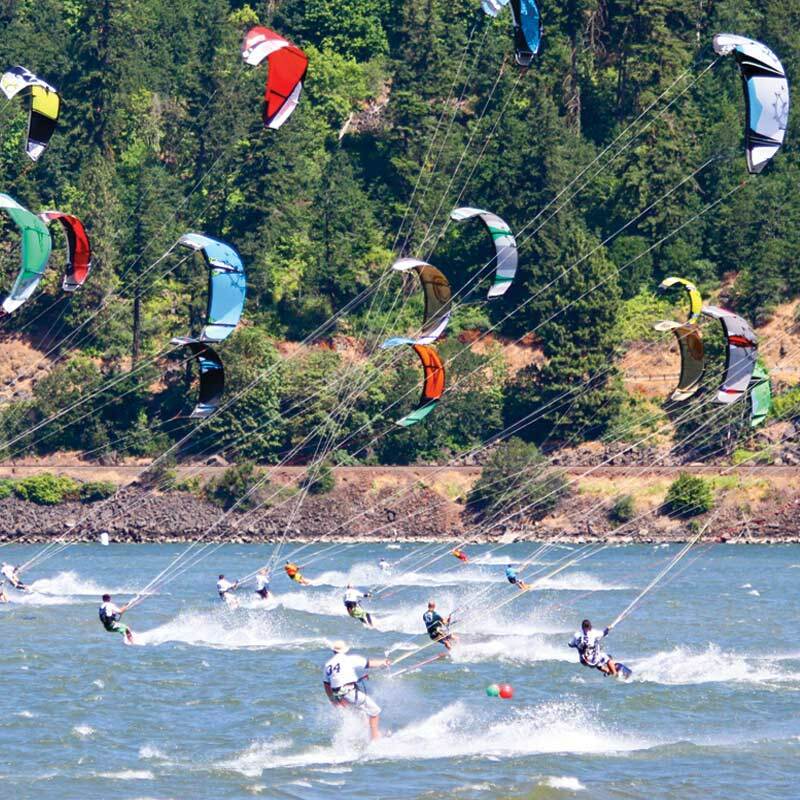 Kite boarders and windsurfers can test their skills on the choppy Columbia River at Hood River. They can take lessons, rent gear and give the soaring sport a try. 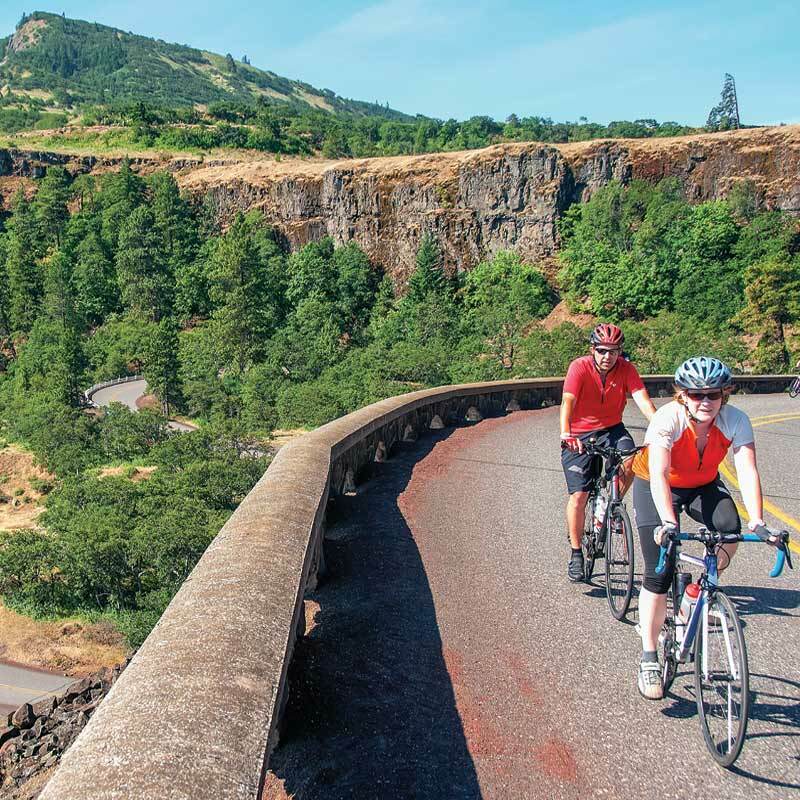 Bikers can experience the Historic Columbia River Highway State Trail east of town through Mosier Twin Tunnels. The Hood River Waterfront Park, History Museum, and Western Antique Aeroplane and Automobile Museum at the Municipal Airport provide a variety of fun things to see and do. Trail travelers continuing east on the Historic Columbia River Highway to Rowena Crest viewpoint and on into The Dalles will soon discover it is the home to world-class museums and cultural centers. The Columbia River Gorge Discovery Center and Wasco County Museum offers exhibits on the Lewis and Clark Expedition and the area’s geology. The Fort Dalles Museum has a unique collection of pioneer and military artifacts. Walk along the banks of the Columbia River to visit Lewis and Clark’s Campsite #7, they slept here twice. Downtown is home to a Carnegie Library and 16 murals depicting historic events of the town. 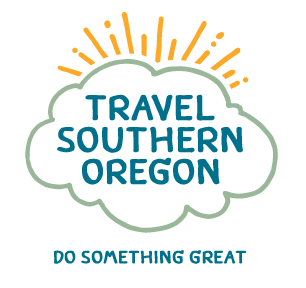 Vacationers can double back on I-84, exit the Interstate at Hood River, and take OR-35 south and US 26 west to fully experience Mt. Hood, the 100-mile Mt. Hood Scenic Byway, plus the pioneer history of the Barlow Road. Going south from Hood River on OR-35, travelers can enjoy the vineyards and orchards of the Hood River Valley Fruit Loop. Surrounding Mt. Hood is the Mt. Hood National Forest. It has over four million visitors annually. 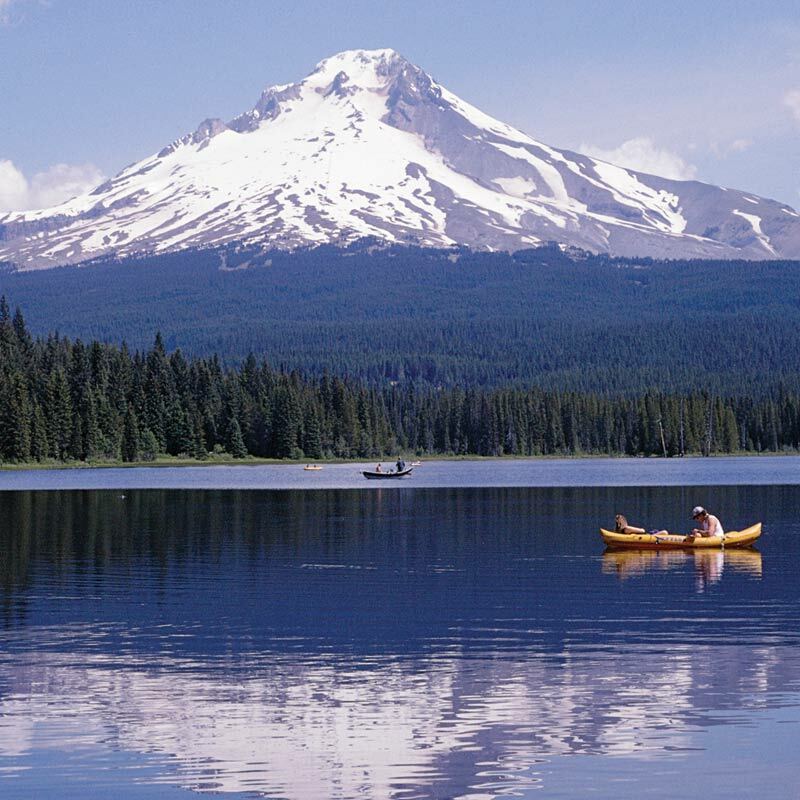 One of America’s most popular National Forests, it has over 1,200 miles of hiking trails, plus outstanding fishing, boating, hunting, rafting, skiing, and mountain biking. Visitor information services are available at the Hood River, Dufur, Zigzag, and Clackamas River Ranger Stations. On OR-35 bends to the west around Mt. Hood toward the Mt. Hood Meadows Ski Resort. Once you cross over the White River you’ll see the summit and come upon historic Barlow Pass where Oregon Trail pioneers crossed over the Cascades heading west. vacationers can experience this alpine village with the Mt. Hood Cultural Center & Museum and the fun and excitement of the Mt. Hood Skibowl Adventure Park. Timberline Lodge is considered one of America’s greatest lodges and one of Oregon’s top tourist attractions. At 6,000 feet the Lodge was built as a WPA/CCC project and provides an incredible view of the summit of Mt. Hood, along with skiing, relaxation, and fine dining. This was the last leg of the Oregon Trail for pioneers who wanted to bypass the Columbia River rapids. Today’s US 26 roughly parallels the historic Barlow Road. At Laurel Hill you can see the Laural Hill Chute where pioneers lowered their wagons down the mountain by pulleys. At Rhododendron you can see a replica of the West Barlow Tollgate where Sam Barlow charged $5 a wagon for passage. Sandy is the gateway to Mt. Hood and the home of great biking where you can enjoy a number of the bike trails convenient to town and criss-crossing the countryside. At Jonsrud Viewpoint you’ll see amazing views of the scenic Sandy River Valley and the route of the Barlow Road. Continue along the Mt. Hood Scenic Byway through the historic Main Street in Gresham to connect back up with I-84. Along the Barlow Road you are now approaching the destination where the pioneers found their “promised land” in rich and fertile Willamette Valley. At Philip Foster Farm visitors can see re-enactors create pioneer life, and at historic Oregon City you can experience the incredible Oregon Trail story at the End of the Oregon Trail Interpretive Center just off I-205 south of Portland.